Season 3 Episode 1 – BOOM! 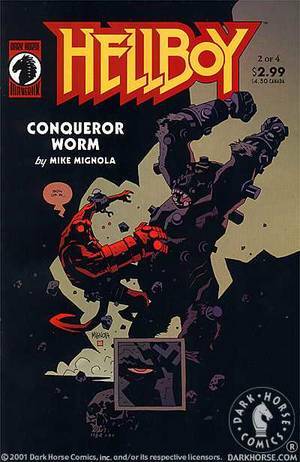 MDC & Kait are back and kicking off the season with the third major Hellboy mini-series Conqueror Worm. Kait gives the first drawing prompt for the new segment #RightHandofDraw and we start the new season off with a sgement of Oh Boy, Email before diving into the pages of Chapter One and Two of Conqueror Worm (May and June 2001). Remember to give us a Five Star Review starting with the word BOOM on Apple Podcasts for a shoutout on the podcast. Conqueror Worm Part 1 can be listened to or downloaded from here. Check in on their back catalog, or keep up to date on new episodes on their Campfire Media homepage. Jan 26 Mezco returns to Hell?